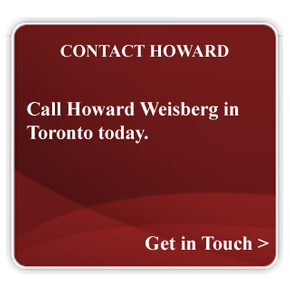 Choose Howard Weisberg Law – Solicitor / Notary for results-focused legal counsel in Toronto. For more than 40 years, Howard Weisberg has guided individuals, families and businesses through the legal system, helping to protect their rights and best interests at every turn. Whether a client needs a personal and professional legal assistance regarding real estate, wills and power of attorney, estate administration or corporate and commercial law, Howard Weisberg commits fully to your case. 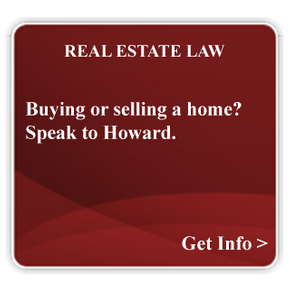 Clients across Toronto and the surrounding area trust Howard Weisberg and his team. Based in the Scarborough area of Toronto, Howard has offered personalized legal services to clients in Toronto as well as York and Durham regions. 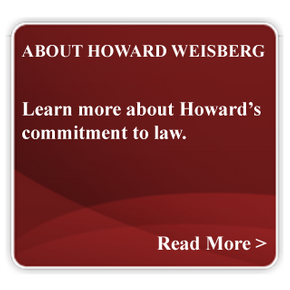 You can expect diligent, affordable legal advice when you contact Howard Weisberg. Howard Weisberg understands that no two clients will ever have the same needs. That’s why he meets with clients personally to assess their goals. Clear, timely communication is the standard for Howard Weisberg. We are never too busy to answer any questions you may have regarding your legal matters. We are here to serve you and to take the time to provide you with the information you require.